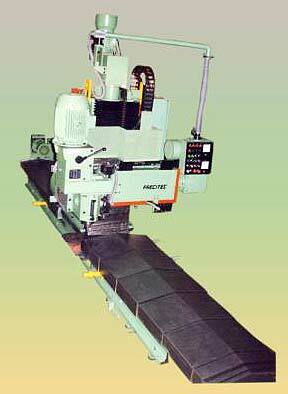 For the complete range of Edge Milling Machine, just avail our highly affordable services. Our Precitec Edge Milling Machine is designed for the preparation of edge of the shell tubes of various radii. They are manufactured from the best quality alloy iron, the carriage & base aremade out of high grade alloy cast iron. Additionally, we are the reputed Synchronized Edge Machine Manufacturer in India.